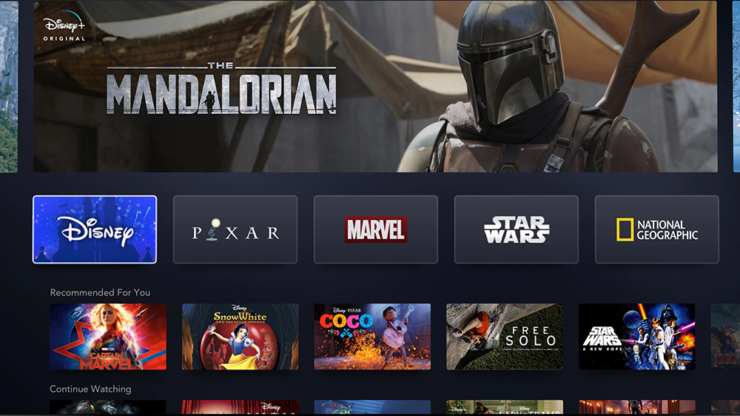 Disney +, Disney’s own upcoming digital streaming service, will be coming to the PlayStation 4 and Disney has expressed that it wants to launch the service on the Switch and Xbox One as well. Revealed at yesterday’s Disney Investor Stream, the service will feature five main hubs including Disney, Pixar, Marvel, Star Wars and National Geographic. 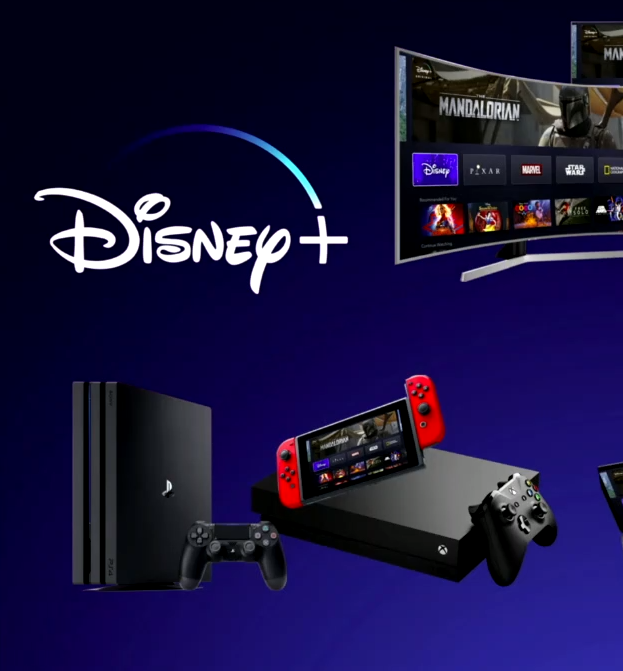 While the service was only officially confirmed to launch on Sony’s PS4, an image showing of the Switch and Xbox One reveals that Disney has intentions to bring the Disney + application to all consoles. Launching on November 12, Disney+ will also be available to stream through smart televisions, browsers, and mobile devices. The service will offer 4K HDR support, parental controls and offline viewing for $6.99 a month or $69.99 a year.